Primary elections for Asheville’s mayor city council are scheduled for October 10. The direction our city’s multimodal transportation policy will take over the next few years depends heavily on who occupies these seats after the general election. Since 2007, Asheville on Bikes has been involved with candidate forums to foster discussion of transportation issues in our city. 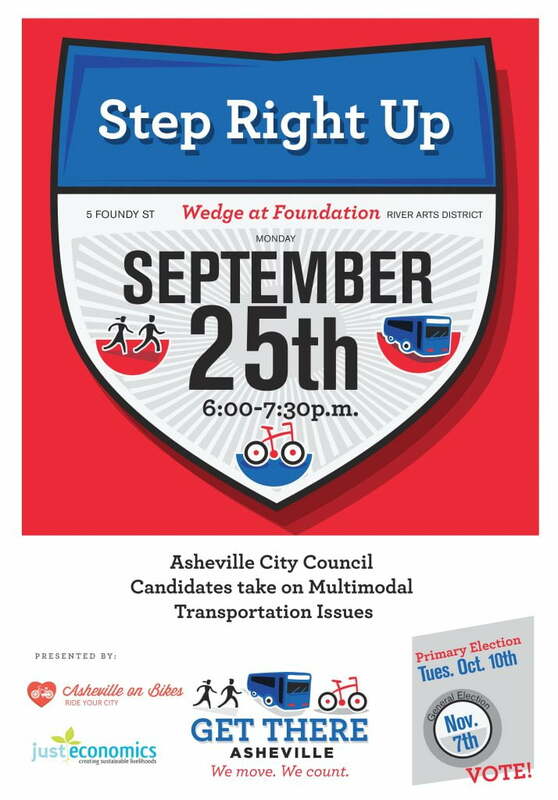 This year, we are partnering with Just Economics of WNC to hold Step Right Up, a low-key, town hall style candidate forum focused on Asheville’s transportation system and policy. Each candidate who attends will be given two minutes to speak about their position on transportation policy, and there will be a “meet and greet” with refreshments for citizens to chat with candidates one on one. 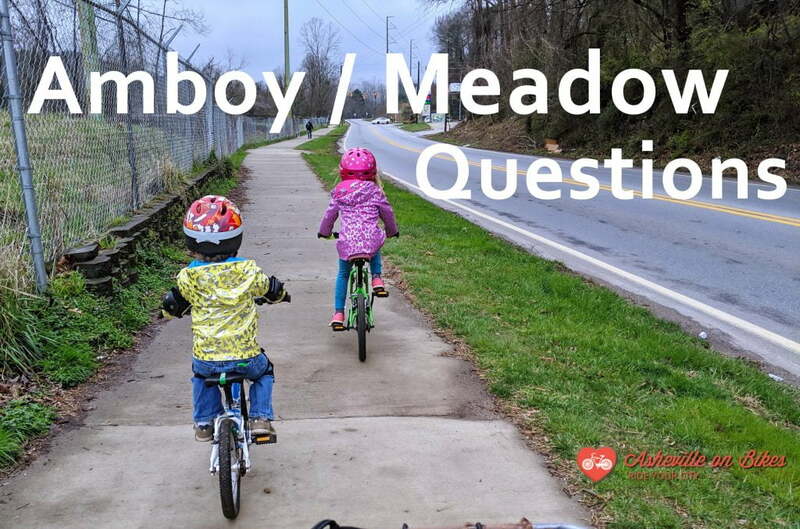 Please plan on being there; the more AoB members and interested citizens who attend, the more clearly our voice is heard by those who represent us and can enact lasting change to make Asheville safer and more accessible for bicycles and pedestrians. No registration is required, but an RSVP and share on Facebook is encouraged—help us spread the word.